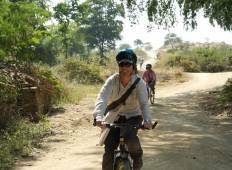 Find a Bicycle trip that explores Myanmar (Burma). There are 14 tours to choose from, that range in length from 5 days up to 14 days. The most popular month for these tours is November, which has the most tour departures. "I would happily recommend this tour and the organisation of it. 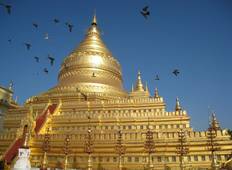 We were looked after..."
"This was an excellent tour of Myanmar. Our guide, Lin and driver Moe took very good..."
"Loved it and would highly recommend it. The only drawback was the accommodation-..."